Which is why I am very proud to review Devereux Golf, a very fashionable young Golf apparel brand. I first discovered the L.A.-based brand about two years ago and was quickly drawn to its clean and minimal style and the very delicate use of colors in its collections. At the PGA show in Orlando I had the chance to meet Robert Brunner, the Creative Director of. He showed me around the new spring/summer 2015 collection and I was stoked. I totally loved the design of the shirts and the nice understated colors of the collection. I was also excited by the details and the quality of the fabric, a Pima Cotton and Polyester mix. I also really liked the subdued patterns and the cut, which I would call European or slim-fit. Usually, most golf shirts from American brands are way to big for me, kind of oversized and baggy style. Not so with Devereux Golf. During the show I had a very pleasant chat with Robert Brunner and had the chance to ask him a few questions about the collection and the brand Devereux. The fabric that we use in our jersey golf polo’s is a blend of Pima Cotton and Polyester. We love the look, feel and drape of Pima Cotton and like the easy care and performance of Polyester. This is an elegant blend that performs well with the golfer on the course. Pima Cotton is better-quality cotton than what you are used to in the industry. True Pima comes from Peru and is treated very delicately. This cotton is softer to the touch and also more durable than other cottons. What was your inspiration for the S/S2015 collection? The late Aristotle Onassis and the life that he lived inspired the spring 2015 collection. We were inspired by the Greek culture he hailed from and very moved by the yachting life he was immersed in. He was an elegant and powerful man who did things his way – and that reflects the Devereux brand. What‘s the main Idea of Dvrx? 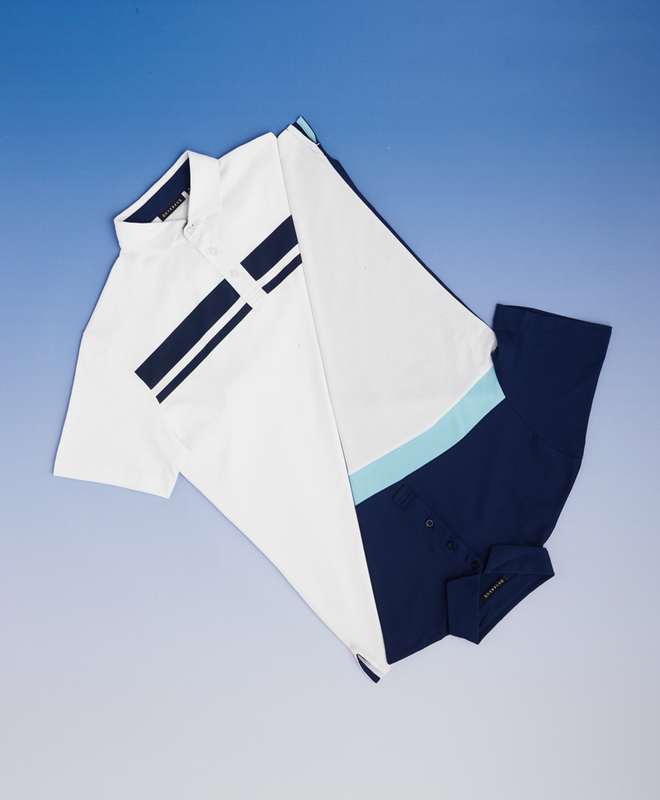 The main idea for Devereux is to be a golf-clothing brand that can transition from the course to a night out. Devereux not only wants to be recognized in golf but also in the world of menswear. Does the name Devereux have any special meaning? The Devereux name comes from my beautiful grandmother, who is now 91 years old and still wears her high heels. My grandmother has always been a fashionista and a true inspiration in my life, so I felt it was right to tribute her with the brand’s name. What are the plans for the future? Are there any options to get Drvx over here in Europe ? Devereux is looking to grow internationally and looking to take a step toward the contemporary menswear community. We are currently in a few international locations and looking to continue to build the growth of our brand. Robert Brunner gave me some shirts for my own use and I really love to wear them. They fit perfectly and the prime cotton fells super comfortable on my skin – and the shirt cools down perfectly on a hot day on the course. Devereux perfectly suits my needs in terms of style and comfort on and off the course. I also love the fact that Devereux is sponsoring Stefan Jaeger, a young and talented German web.com tour player out of my home town Munich. 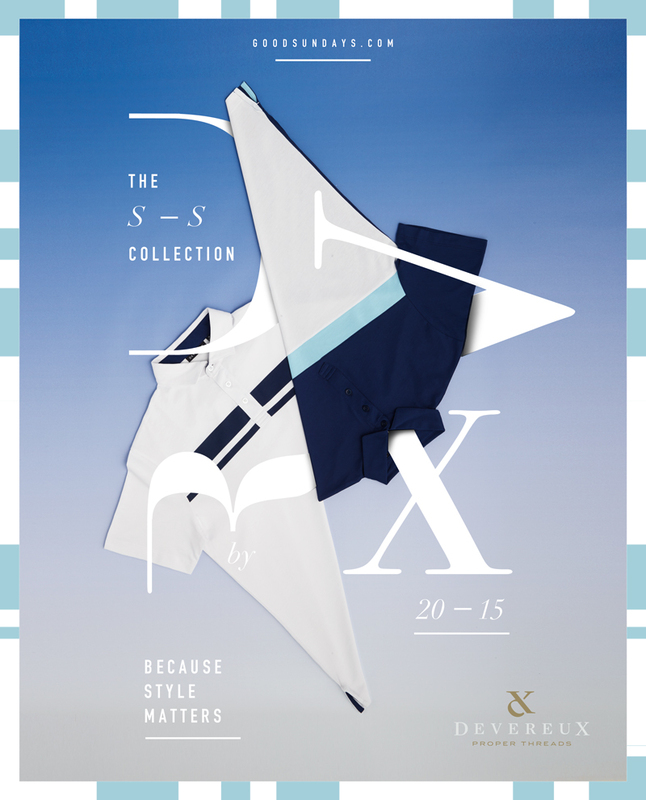 Because of all this and „Because Style Matters“, as I like to say … this brand is highly recommended.